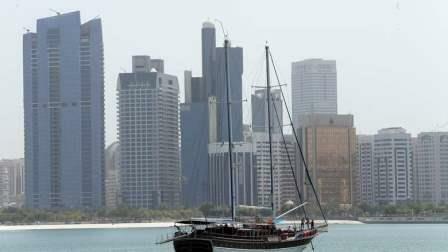 Property prices and apartment rents fell in Abu Dhabi in 2017, with Mohammed Bin Zayed City becoming the most affordable area, according to Bayut.com. The property portal said in its annual report that Mohammed Bin Zayed City saw rents dropping by 12 per cent in 2017 as companies are demanding Dh30,000, Dh47,000 and Dh65,000 for studios and one- and two-bedroom apartments, respectively. On the other hand, the Corniche Area, the most expensive for apartment rentals among popular areas, experienced a 12 per cent decrease last year as the average rent in was Dh80,000, Dh99,000 and Dh135,000 last year for studios and one- and two-bedroom apartments, respectively. According to Bayut.com, Al Reem Island is the most in-demand area among Abu Dhabi tenants this year with studios, one-bedrooms and two-bedrooms commanding Dh60,000, Dh82,000 and Dh120,000, respectively. Meanwhile, the price of two-bedroom flats on Airport Street is 29 per cent lower at Dh85,000 per year, which was the most significant drop among popular areas of Abu Dhabi for apartment units. Studios in Khalifa City A, meanwhile, command Dh36,000, same as they did last year. The study noted that Al Reem Island was the most popular area for buying an apartment in 2017 where prices have gone down around six to eight per cent. A studio on Reem Island now costs Dh680,000, a one-bedroom apartment goes for Dh1.1 million and a two-bedroom apartment is at Dh1.7 million. Al Ghadeer is the most affordable of the highly sought-after apartment areas, with studios there selling at an average price of Dh500,000, 5.6 per cent lower than last year. Masdar City is not far behind with the average price of Dh540,000 on studios, a 1.8 per cent decline from 2016. "As more and more off-plan projects are completed in 2018, handed over and put on the secondary market, we can expect prices continuing to attract investors while landlords will have to stay competitive to entice potential tenants. In the long run, as the market and the broader economy move along a trajectory of diversification and maturity, the opportunity for developers and sellers to capitalise on their investment remains strong," said Haider Ali Khan, CEO of Bayut.com. The most popular area for renting villas in 2017 is Khalifa City A, especially because of the fall in average rents to Dh155,000, 180,000 and 200,000 for three-, four- and five-bedroom villas, respectively - a four to 10 per cent drop from 2016. Mohammed Bin Zayed City is the most affordable area among the top localities for villa renting on Bayut.com. The average yearly lease there costs Dh120,000, Dh150,000 and Dh165,000 for three-, four- and five-bedroom villas, in that order, a drop of between five to 14 per cent from 2016. On the other hand, Bain Al Jessrain is still the most extravagant popular area of Abu Dhabi for villa renting, demanding between Dh200,000 to Dh250,000 - depending on property type on average - registering a decline of around three to four per cent from 2016. Saadiyat Island is still the most expensive area for buying villas in Abu Dhabi despite a 5.7 per cent price fall on three-bedroom villas last year. The average asking price for villas ranges from Dh6.6 million to Dh10 million for three-, four- and five-bedroom villas. Prices for five-bedroom villas have remained unchanged from last year.